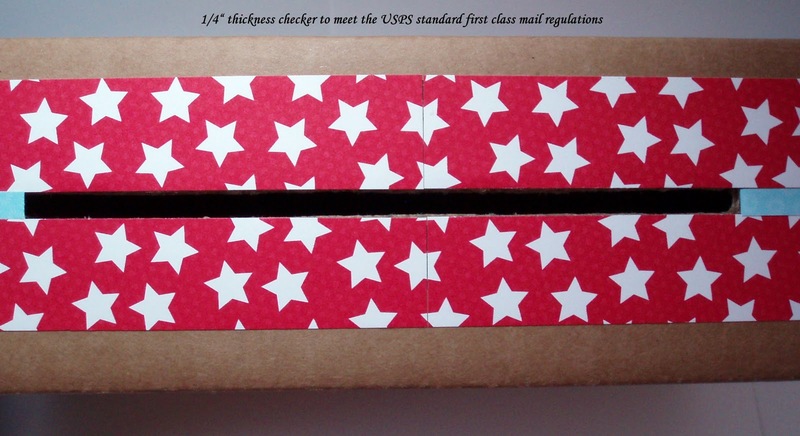 I made a 1/4" Thickness Checker to meet the USPS standard first class mail regulations. I got this idea from someone who mentioned it on OWH facebook. I carefully measured and cut 1/4" slot out of a recycling box. This will be a great tool to check the thickness of card when someone has a lumpy looking card. I made one out of 3 thicknesses of chipboard. It fits in my envelopes file folder for convenience.